Truly, it's almost beyond words. It's summer camp. 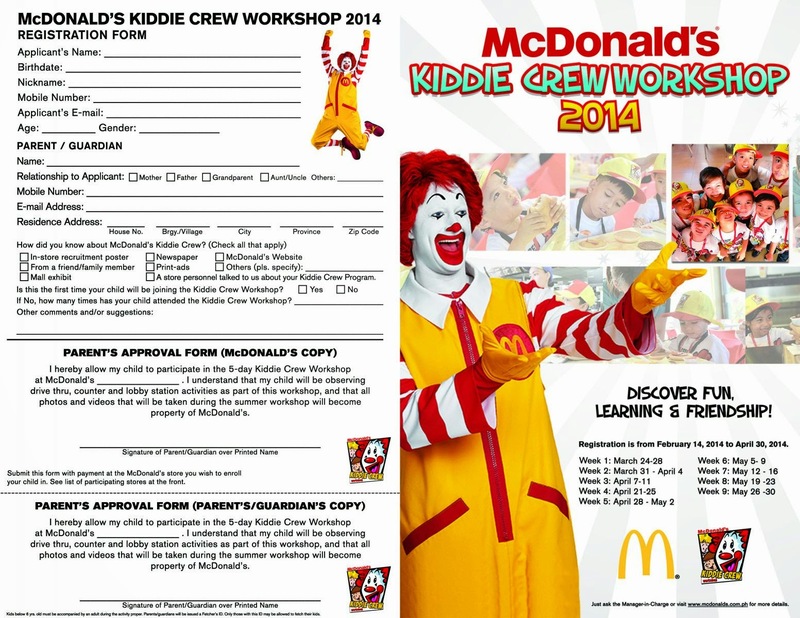 For elementary school kids. At McDonald's in the Philippines. And it's been running since 1991. What will the campers do there? 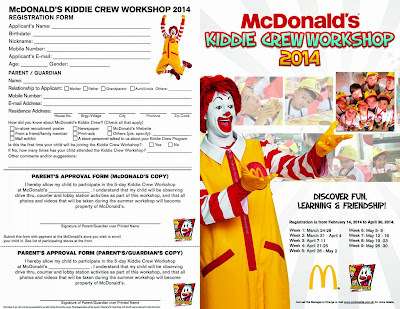 "During each workshop day, Kiddie Crew members will get to experience on-floor training like greeting customers and assisting the crew at the drive-thru and front counters; showcase their skills through creative art workshops; and learn the importance of hard work, discipline and teamwork, through values formation lessons." 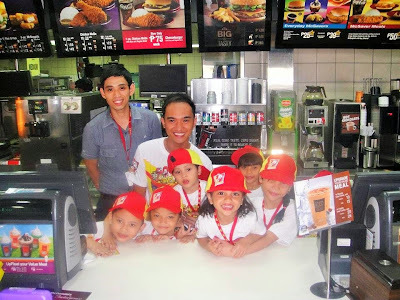 And if you think you can stomach it, here's McDonald's own 10 minute video highlighting the the week-long, imerssive advertisement that parents actually pay McDonald's to sear into their kids' brains.